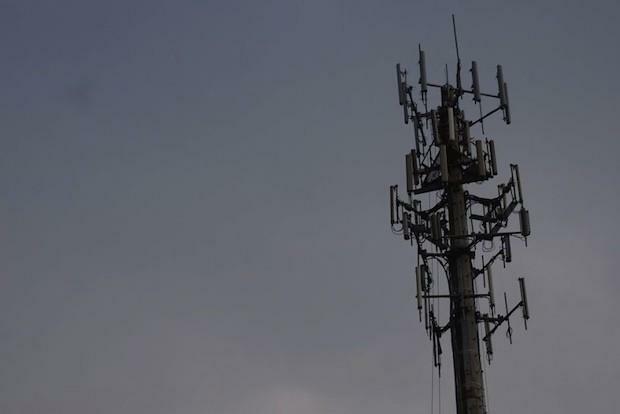 The cellular carriers have been working at a fever pitch, to restore service in places marked by widespread power failures after Hurricane Sandy. One of the areas of concentration is New York City, which was among the hardest hit disaster zones. While more cell towers remained operational than not — about 25 percent were crippled during the storm — it's heartening to know they're hard at work to service hurricane survivors who still lack connectivity. Today T-Mobile has restored wireless service to customers in many key areas of Manhattan impacted by an ongoing power outage through the deployment of temporary cell sites atop the company's major switching facility in Tribeca. Leveraging new technology capabilities, we are able to provide broad coverage from a single location, ahead of power restoration to the hundreds of cell sites that normally serve this area. The company has also restored service in parts of Manhattan where power has become available, including the East Village, Lower East Side, Chelsea and around the World Financial Center. The size, scope, and impact of hurricane Sandy are unprecedented in the U.S. in terms of geographic area, location, and population density. Ahead of the storm, T-Mobile's rapid response engineering teams staged equipment in and nearby the areas most severely impacted by storm, such as lower Manhattan, Staten Island, Long Island, coastal and Northern New Jersey, and we are continuing to work around the clock to restore service. In a separate announcement, the carrier also outlined ways it is helping with the relief effort, including making a $100,000 donation to the Red Cross, matching text donations made to the organization (up to another $100,000), offering Red Cross shelters cell phones and chargers, and directing all New Jersey locations with power to provide free charging and domestic calling to disaster victims. Hang in there, New York and New Jersey. We're crossing our fingers, hoping it won't be long until everyone is back in service. For more information on T-Mobile's relief efforts, hit up the full press release below. Parsippany, New Jersey — Nov. 3, 2012 — Today, T-Mobile is providing cell phones with unlimited domestic calling services and additional phone chargers to all of the American Red Cross shelters in the state of New Jersey. The phones will be used to establish "phone banks" within each shelter, providing an increased ability to make calls to loved ones and coordinate emergency plans with their families and friends. T-Mobile has now also committed to make a $100,000 donation to the American Red Cross storm relief efforts. The company will also match up to an additional $100,000 donated by customers to American Red Cross storm relief via text message. T-Mobile customers have already donated more than $100,000 by text message to the American Red Cross. The total potential impact of T-Mobile and its customers' donations is anticipated to be more than $300,000. "During this continued time of emergency for so many people, many of those who are utilizing American Red Cross shelters may not have their phones with them, or may not have service," said John Legere, Chief Executive Officer of T-Mobile USA. "We have made every effort to recover our network service in the areas where each of these shelters are located, and T-Mobile is pleased to be providing the American Red Cross with cell phones and chargers that will be used in shelters throughout the state of New Jersey." The T-Mobile phones are pre-loaded with service that allows for unlimited calling anywhere in the United States, and will remain operational as long as there is a need for them in New Jersey American Red Cross shelters to assist those affected by the storm. T-Mobile is the only wireless carrier providing phones for this type of use to American Red Cross shelters in New Jersey. "The impact of Superstorm Sandy was widespread and the road to recovery will be long for many families," said Neal Litvack, Chief Development Officer at the American Red Cross. "Through the generosity of its partners such as T-Mobile the American Red Cross is responding with shelter, food and emotional support, helping families and communities with their most critical needs now, and as they begin to move toward recovery. We're grateful for T-Mobile's dedication to the Red Cross mission and their commitment to helping with the communications needs of so many in our care." In addition to the phones and service provided to the American Red Cross shelters in New Jersey, all T-Mobile retail stores in New Jersey that are open and have power are providing free charging and free domestic calling for anyone that needs it to connect with loved ones and make emergency plans. For those who need charging or free calling to make continued emergency plans, it is best to call the nearest store ahead of time to be sure that it is open and has power. A store locator can be found on T-Mobile's website at http://www.T-Mobile.com. Additionally, in operational New Jersey stores, T-Mobile is providing access to tablets and phones to use for email and data connectivity – this service is available to customers and non-customers alike, and for emergency purposes only. With a long history of operations within the state of New Jersey, almost 1,000 T-Mobile employees live and work in the state. T-Mobile has major employment locations throughout the state, including a large operation in Parsippany, and more than 200 retail and partner sales locations throughout the state. UPDATE: Verizon, AT&T and T-Mobile have updated numbers on their recovery efforts, and all three are putting in extra help for disaster survivors. For more, click here.